At Wilde, EVERY new Subaru vehicle is equipped with a 5-year / 60,000 mile Powertrain Warranty, a 3-year / 36,000 mile Bumper to Bumper Warranty and 3-year / 36,000 mile Roadside Assistance. 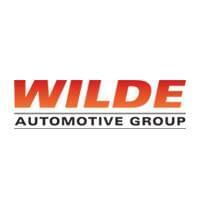 Wilde is your one-stop shop for new Subaru sales, used and certified pre-owned vehicle sales, service and parts in Southeastern Wisconsin. We are fully-stocked with hundreds of cars, trucks, mini-vans and SUVs for every budget. CALL our knowledgeable staff at 262-970-7575, learn more about us and VIEW OUR ENTIRE INVENTORY online at www.wildesubaru.com, or VISIT us in person, conveniently located at 1710 Hwy 164 in Waukesha, WI. We look forward to serving you!